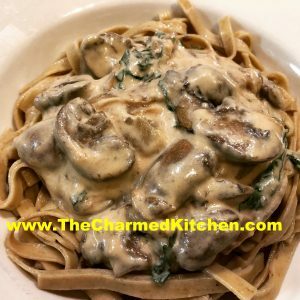 I had some baby portobello mushrooms and decided to use them to make Stroganoff. I also had some powdered dried mushrooms, so made mushroom pasta, too. The stroganoff was easy and tasted great. Just a few ingredients, but they packed plenty of flavor. I used a pound of mushrooms, but I could see making this dish with even more mushrooms. I also think it would be fun to make it with a few different types of mushrooms. For the pasta, I used mushrooms I had dried myself. Store bought dried mushrooms often have to be soaked first, to remove dirt. I only recommend using mushrooms you washed and dehydrated yourself. You don’t want grit in your pasta. Heat oil in large skillet and cook onions until golden. add mushrooms and cook until they are golden, too. Add stock and sherry and cook until most of the liquid is cooked off. Remove from the heat and stir in the sour cream, half and half and parsley. Warm gently for several minutes until sauce thickens a little. Adjust seasonings and serve over mushroom pasta. Recipe follows. Serves 4-5. I only used some of the pasta for the dish. 3 c. flour, more if using electric pasta machine. See note. Mix flour, mushroom powder and salt. Stir in eggs, kneading until dough is smooth and elastic. Dough will be very stiff. Add a little water, as needed, to hold dough together. You may wish to mix the dough in a mixer or food processor. Cover dough and let rest at least 15-20 minutes before rolling. Under kneading your dough will result in coarse, crumbly pasta. This batch makes about 1 pound. Serves 4-6. Roll dough out on a well-floured board or with a pasta machine until desired thickness in reached. Add flour as needed to prevent sticking. Cut into strips or whatever shapes are desired. You might want to let the noodles dry 1-hour or more before cooking, but this is not necessary. Pasta can be hung to dry or separated and allowed to dry flat on a table. When pasta is not hanging to dry it must be turned occasionally to dry evenly. Although you may hear otherwise, homemade pasta, even when dried, should be frozen for long term storage. Storing at room temperature can lead to spoilage. Fresh pasta can also be stored in the refrigerator for a day or two. Cooking fresh pasta happens quickly. For most noodles you are looking at 2-3 minutes at the most. Thicker cuts and ravioli would take a little longer. Watch it carefully. Drain after cooking, and toss with your favorite sauce. 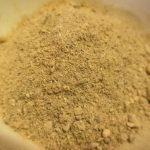 *You might be tempted to powder up some store bought dried mushrooms. I would advise against that. 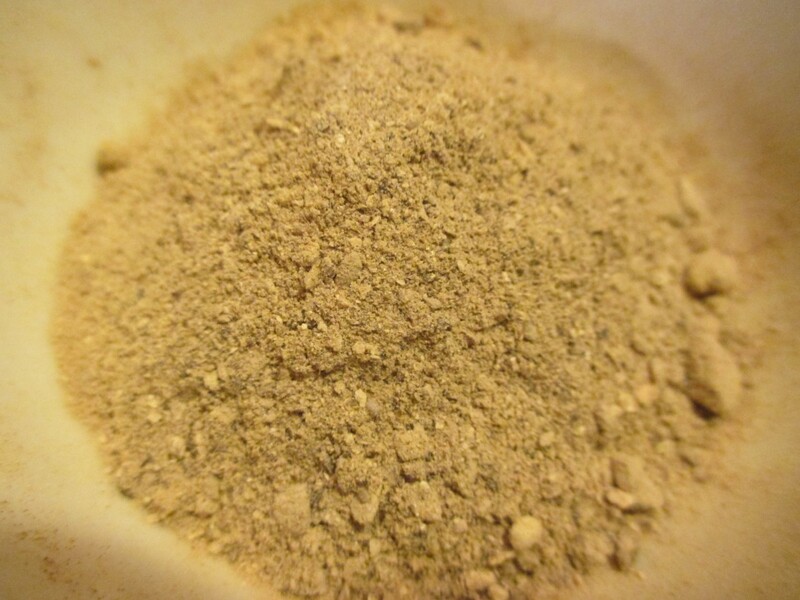 Commercially dried mushrooms have not been washed before drying, so you might get dirt in your mushroom powder. I clean my mushrooms thoroughly before dehydrating. Note: All electric pasta machines vary slightly and you should use their recipes as much as possible. Still, for most models, adding 1/4 c. flour for each cup in a hand rolled recipe works the best. Also recipes that contain seeds and vegetables may clog an electric pasta maker. Follow your manufacturer’s instructions.